-Full sibiling to the extremely popular, Churchill Red Bull 200Z. 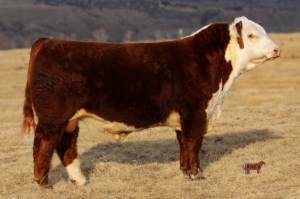 -Some call his dam, 002X, the most potent and proven cow in the entire Hereford breed. -A flush on Manhattan's dam commanded $20,500 last Spring! make this 028X son a must-use.